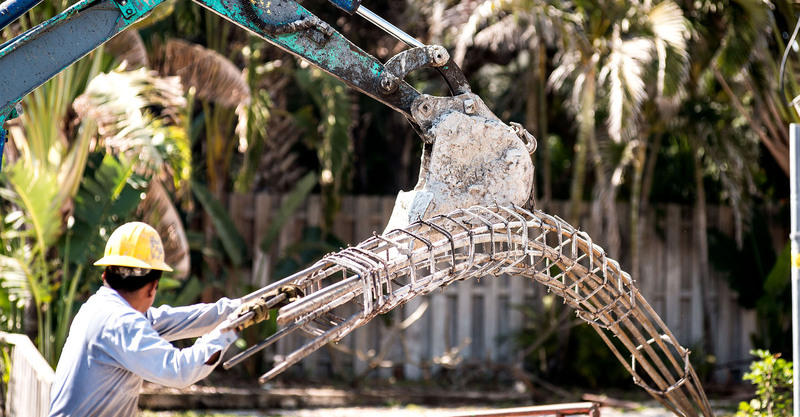 With over 20 years of experience, Brevard Grouting Service is your number one choice for residential and commercial deep foundation projects. As leaders in the auger cast piling field, we have set the standard for productivity, efficiency, and quality. 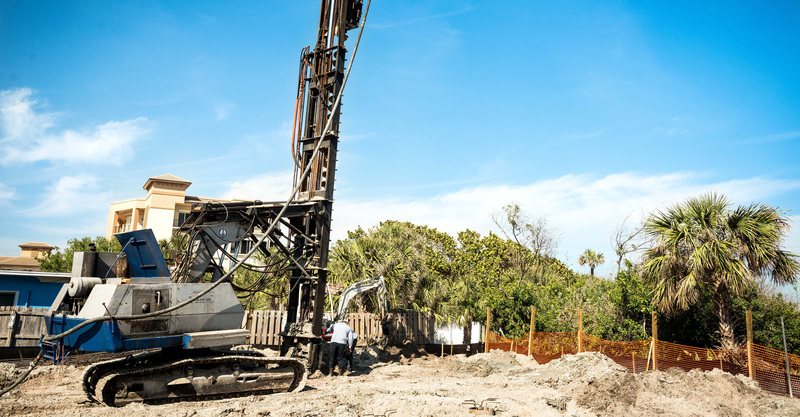 We have developed a line of drilling rigs equipped for the most challenging projects, including those with low headroom conditions or limited site access. Practical Solutions for foundation problems. Brevard Grouting Service is your preeminent choice. Feel confident that we can handle complex projects. Our experience is here to help you through challenges. Our systematic approach allows measurable results. We can handle your project no matter the size or scope. Efficiency while maintaining high quality and safety. 8 to 30 inch in diameter and up to 62 feet in depth. We use fixed mast machines with capabilities of 8 to 30 inches in diameter and up to 62 feet in depth. 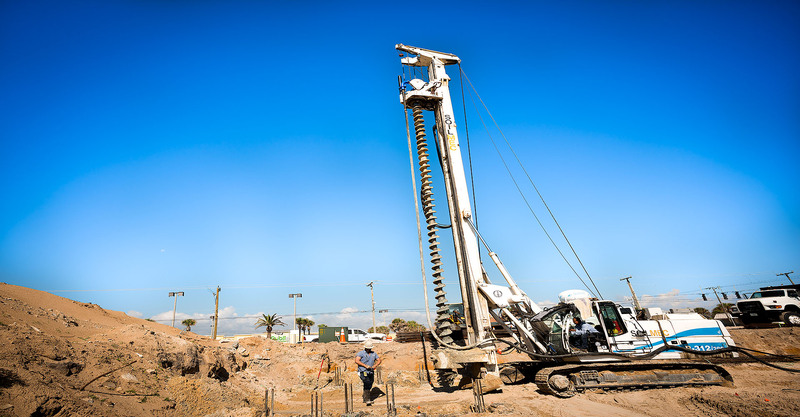 Fixed mast machines allow for inclination adjustments in all vertical directions resulting in plumb piling installation or battered pile installation if required. Fixed mast technology also enables proper placement of piling and controlled descents of augers into the soil. 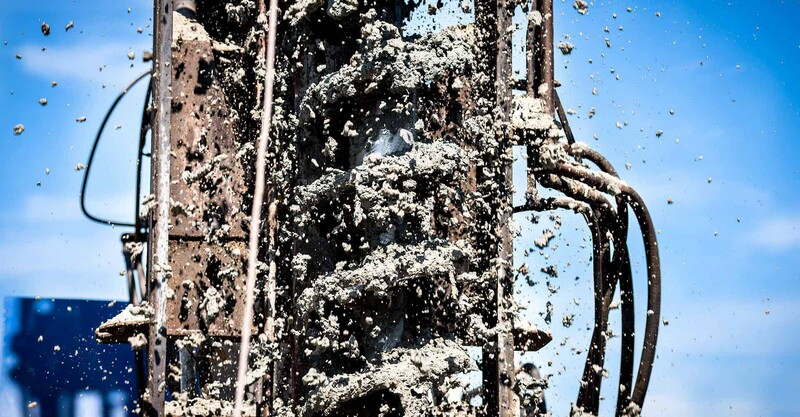 In the extraction phase, fixed mast machines provide a smoother withdrawal and precise concrete volume placement resulting in reduced concrete over pour. We are committed to building relationships with our clients and networking with other contractors. We welcome the opportunity to consult with clients who are unfamiliar with the auger cast/deep foundation construction process. Brevard Grouting Service is a FLORIDA CERTIFIED BUILDING CONTRACTOR and is known throughout the state for its ability to provide practical solutions to foundation problems and carrying out those solutions in a professional manner. We are proud of our amazing team who are focused on the success of every project! Working directly with clients to keep you informed on every aspect of the project. Keeping the job site safe and productive. With uncompromising focus, we complete the job quickly and efficiently.